Most people who know the basics about Judaism know that our holy book is what we call the Torah. But there is a lot of confusion around this because we have a lot of holy books! 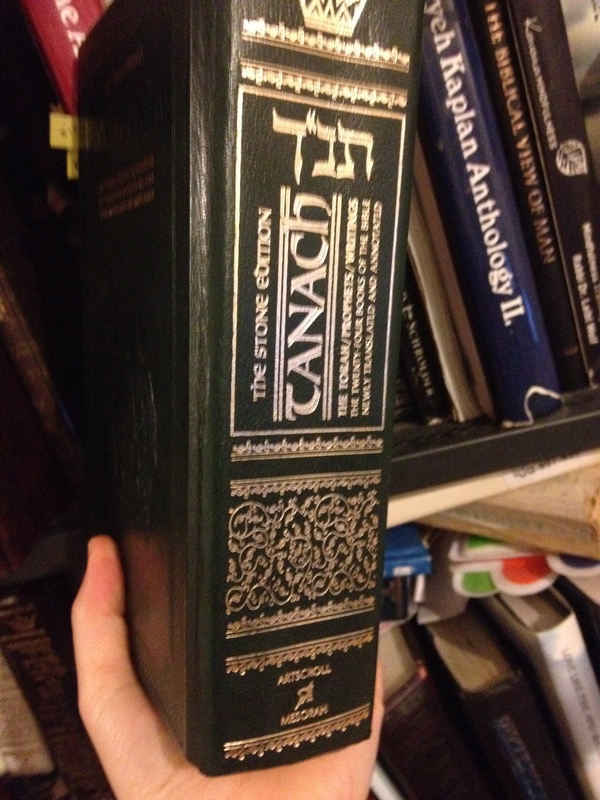 The Bible, the Talmud, the prayer books, and a whole slew of rabbinic literature from throughout the centuries. So in this letter we’re going to make some order in this chaos. This is kind of confusing because the word “Torah” is used to refer to a few different things. It literally means “instruction”, and for the most part, when we use it, we’re referring to the entire body of teachings and Jewish law, starting with the Bible and all the way down to the rabbinic literature being written at this very moment. 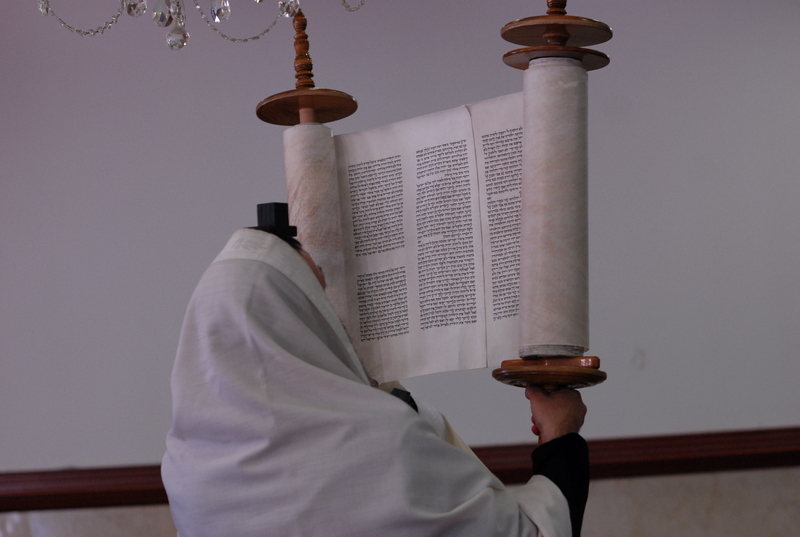 When we say that we believe God gave us the Torah at Sinai, what we mean is that He gave us the Written Torah (which is the first five books of the Bible), and also an Oral Torah, which is meant to be taught from teacher to student and father to son. We’ll elaborate more on the Oral Torah later. Ashkenazi scrolls, as you see in the video, are generally wrapped around two handles, and covered with a decorative cloth when not in use. 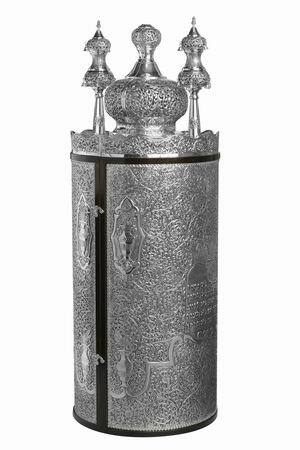 Sephardi scrolls are kept in a special case of wood or metal, wrapped around rods that are turned while the scroll is still in the case. “SilverTorahCase” by http://hadadbros.com/. Licensed under CC BY-SA 2.5 il via Wikimedia Commons. You will notice that they are chanting the words of the Torah in a kind of singing way. This is called “cantillating”. There is a very specific system of notes designated for this purpose, which is marked in the Chumash when it is in book form. Like this one. 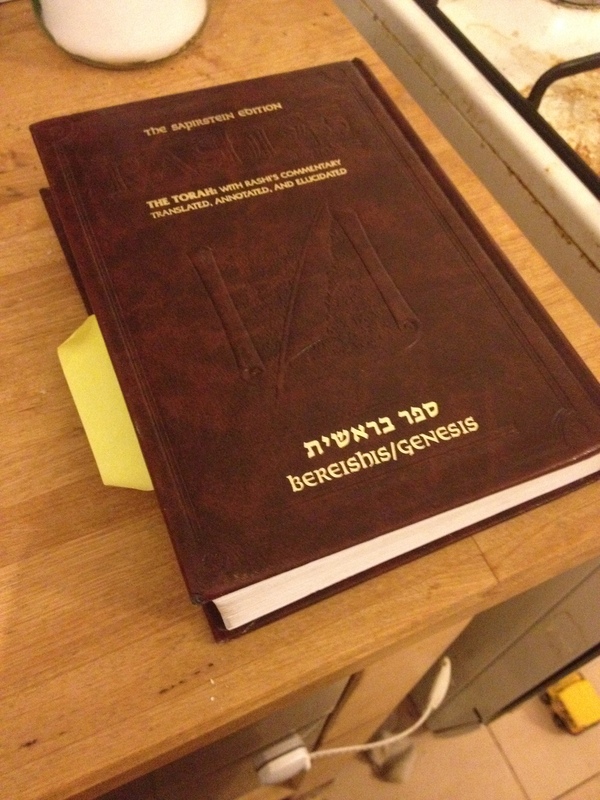 This is the book of Genesis, with English translation and rabbinic commentary. In scroll form, it must be written using the same special calligraphy and parchment that we use for the mezuza. The word Tanakh is a Hebrew acronym for the words Torah, Nevi’im (Prophets), and Ketuvim (Writings), which essentially make up the Jewish Bible or as y’all prefer to call it, the Old Testament. This is the hardcover book I gave you. So remember this Oral Torah I mentioned that was supposed to be passed orally from teacher to student? The reason we needed it was that we needed a system to interpret the Written Torah. There are places in the Torah where God says “do X as I have described to you”, and there is no description in the text. That is referring to this Oral Law. In fact, there is a law that we are not supposed to write down this law, because it is meant to be a “living Torah” that is dynamic and shifts with the new needs and issues of each generation. But, there was a problem. After the destruction of the Second Temple, the great Torah scholars were being killed and teaching Torah was illegal under the Romans. Under these circumstances, it was decided that the Oral Torah must be written down to preserve it for future generations. Rabbi Judah the Prince, an important figure at the time, compiled the teachings into a volume that was completed around the year 200. This book was called the Mishna (which means “teaching”). Another volume was eventually compiled of analysis and commentary on the Mishna, and this was called the Gemara (which means “study” in Aramaic). These two volumes together, the Mishna and the Gemara, comprise the Talmud (which means “study” in Hebrew). There are two versions of Gemara; one was compiled in Israel and completed around 350-400. This is called the “Talmud Yerushalmi”–the Jerusalem Talmud. Another was compiled in Babylonia, where the biggest and most important Jewish community was at the time, and it is called the “Talmud Bavli” (the Babylonian Talmud). The latter is the one most widely studied. It is also much longer and more comprehensive. The rest of rabbinic literature is basically analysis and interpretation of the Talmud. Except…. It has been compiled over a long period. Formal prayer was institutionalized by Ezra and Nehemiah for the same reasons mentioned above–mostly to preserve the Jews’ Hebrew. All traditional Jewish prayer is in Hebrew. The prayer they wrote was the Shmona Esrei, a collection of eighteen blessings that we are supposed to say three times a day. Over time a lot more was added onto it; we read the Shema prayer (discussed in the letter on mezuzot) with blessings before and after, and before that, more blessings, poems, and Psalms. There is a different order of prayers for the morning, afternoon, and evening prayers, and additional or alternative prayers for Shabbat and holidays. The High Holiday prayers are so different and long that we have a separate book or books for that, called the Machzor (which means “cycle”, referring to the annual cycle of the holidays). It is also very common to find a book of Psalms on the shelf or in the pocket of an observant Jew. It’s part of the Tanakh (in Writings), a collection of poem-prayers traditionally attributed to King David. 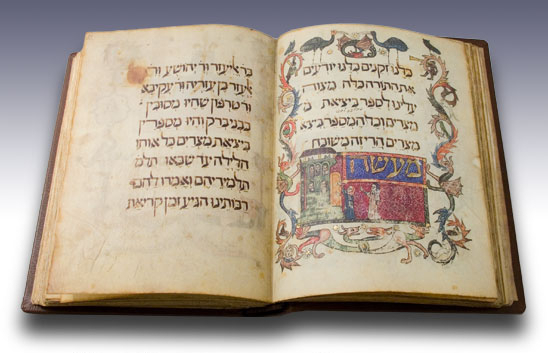 The Haggadah (which means “telling” in Hebrew) is a book exclusively read on the first night of Passover during the Seder (the Passover ceremonial meal; I’ll elaborate in a later letter). It was compiled during the Mishnaic and Talmudic periods, and the text has remained the same for hundreds and hundreds of years. There are a number of precious ancient Haggadot that were created hundreds of years ago and still have the same text we use today. Such as…. 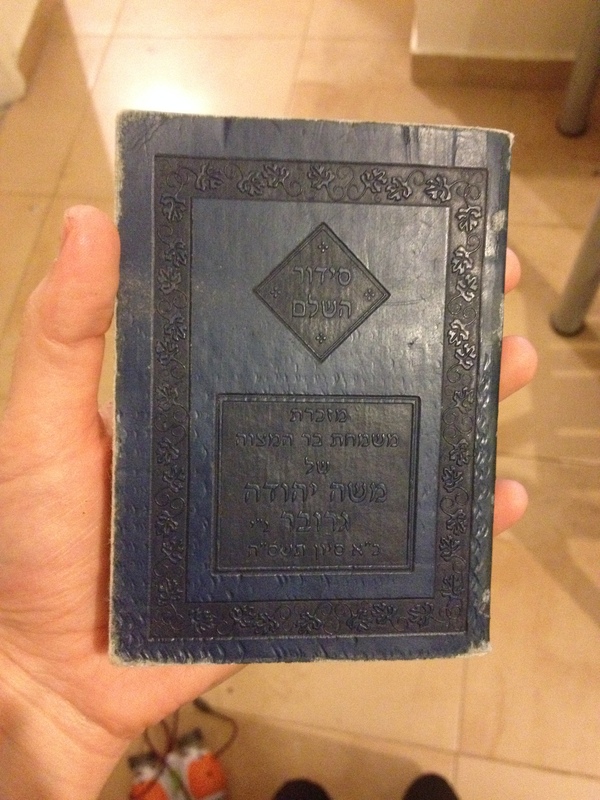 the Barcelona Haggadah. 🙂 This beautifully illuminated volume was created in 14th-century Barcelona. The text here is clearly legible and recognizable from the Haggadot we use today. It is a passage from the Talmud telling the story of several rabbis who stayed up all night to discuss the exodus from Egypt on Passover.